Wrestling has gone up and down in popularity over the years. Entertainment industries like the WWE and businesses like UFC are the cornerstones. There are also fans of things like Olympic wrestling. The unfortunate truth is that there aren’t many decent wrestling games on mobile. We found what we could in a very under-represented genre. Here are the best wrestling games on Android! Here are some more lists wrestling fans might like! EA Sports UFC is definitely among the best wrestling games. It features prominent fighters from both the male and female circuits. There are a total of 70 fighters over four divisions. You can level up characters as you play. This unlocks additional move sets. The game also features live events, leaderboards, and more. It's an EA game. That means it's full of annoying in-app purchases. However, the mechanics are fairly solid. You'll spend a lot of time grinding. This one is a little old and we're not sure EA still supports it. If not, we'll remove it from this list upon its next update. MMA Fighting Clash is one of the generic wrestling games. 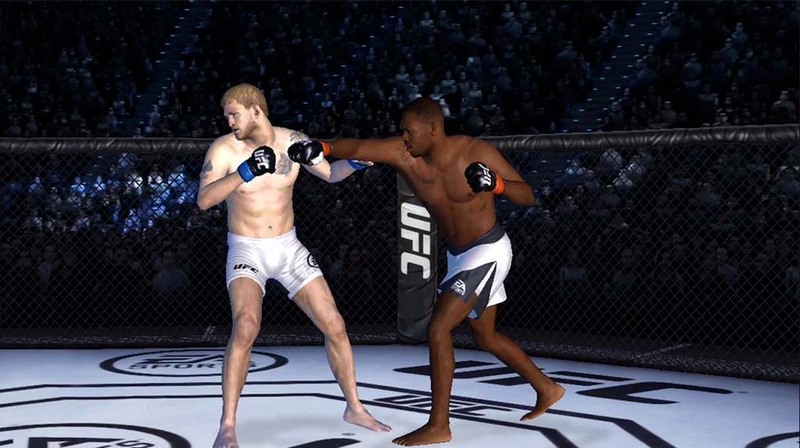 It features a similar style to the official UFC game. However, it doesn't quite have the same level of polish. The game features multiplayer, various weight classes, over 60 characters, and more. You can also customize the characters with over 100 different moves. The mechanics are fairy evident. You tap various buttons to make the fighters do various moves. It's closer to an actual wrestling game than you'd normally find. The reviews are fairly positive as well. It's a free download so it won't cost you anything to try it. Rowdy Wrestling is a simple arcade wrestling game. It features easy controls, plenty of violence, and 2D, retro style graphics. It's basically a massive battle royale. You beat up on opponents and then knock them out of the ring. The game also features 55 playable characters as well as three game modes. There are some occasionally annoying advertisements, but it's a little difficult to complain too much when the game itself is completely free. We would have liked a premium version to remove those ads, though. There are two games in the Wrestling Revolution franchise. Both of them are surprisingly popular mobile wrestling games. The newest in the series is Wrestling Revolution 3D. This one has two game modes. A booking mode is essentially the creative mode. You can do pretty much whatever you want. The fight mode puts you in the ring to duke it out. It features the usual set of strikes, grapples, taunts, pins, etc. The game even has gamepad support. Unlike many, it's a pay-once game for $4.99 as an in-app purchase. It looks, feels, and plays like those old wrestling games on the Nintendo 64. It's not bad. WWE 2K is a bit of a wild card. On the one hand, it's the only WWE wrestling game that features actual wrestling. On the other hand, its last update was in 2015. That means it's likely abandoned. Those who are willing to risk the $2.99 may enjoy themselves. It features a career mode, a training mode, and real-time multiplayer matches. We're not sure how well the multiplayer matches work online, though. You can also create your own playable character. With a little polish and bug fixing, this could easily be the best wrestling game on Android. Unfortunately, 2K gave up in 2015. Thus, it's just okay. Make sure you demo it inside of the refund period so you're not out $2.99 if it doesn't work. There are a variety of WWE games on mobile with wrestling themes. However, none of them are pure wrestling games. WWE Immortals, for instance, plays a lot like Injustice or Tekken Mobile with simplified fighting style controls. WWE Champions is a match-three game with wrestling themes as well. Finally, WWE Mayhem and WWE SuperCard are both gacha-style character collecting games with WWE wrestling themes as well. These don't make for great wrestling games. However, they do provide some time killing fun for those who enjoy the theme of the sport and the various wrestlers in it. As suggested, they are all freemium games. Thank you for reading! Here are a couple final recommendations! If we missed any good wrestling games, tell us about them in the comments! You can also click here to check out our latest Android app and game lists!